From the tabloid magazines to main-stream media outlets, political campaigns, courtrooms, and the photo hoaxes that land in our email, doctored photographs are appearing with a growing frequency and sophistication. The resulting lack of trust is impacting law enforcement, national security, the media, e-commerce, and more. The field of photo forensics has emerged to help return some trust in photography. I will broadly describe some of the latest innovations for authenticating photographs, and I will describe in detail a suite of forensic techniques that exploit JPEG coding artifacts. 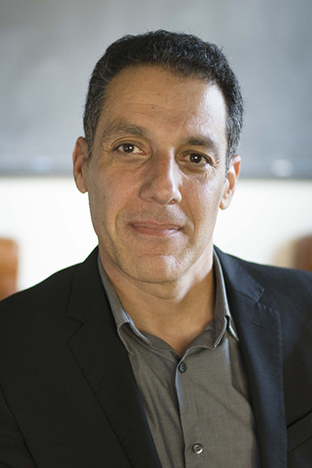 Hany Farid is the Albert Bradley 1915 Third Century Professor and Chair of Computer Science at Dartmouth. His research focuses on digital forensics, image analysis, and human perception. He received his undergraduate degree in Computer Science and Applied Mathematics from the University of Rochester in 1989, his M.S. in Computer Science from SUNY Albany, and his Ph.D. in Computer Science from the University of Pennsylvania in 1997. Following a two year post-doctoral fellowship in Brain and Cognitive Sciences at MIT, he joined the faculty at Dartmouth in 1999. He is the recipient of a Alfred P. Sloan Fellowship, a John Simon Guggenheim Fellowship, and is a fellow of the National Academy of Inventors. He is also the Chief Technology Officer and co-founder of Fourandsix Technologies and a Senior Advisor to the Counter Extremism Project.